. 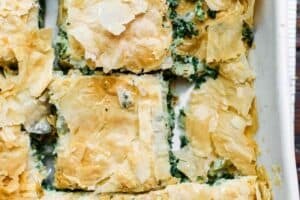 Today, instead of my usual recipe post, I have a brief review of Mediterranean Cookbook for your benefit. 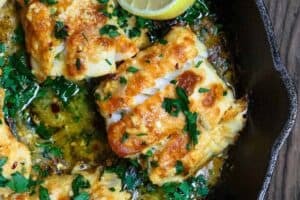 was a must-have resource for me and anyone who loves to cook authentic and delicious Mediterranean meals. 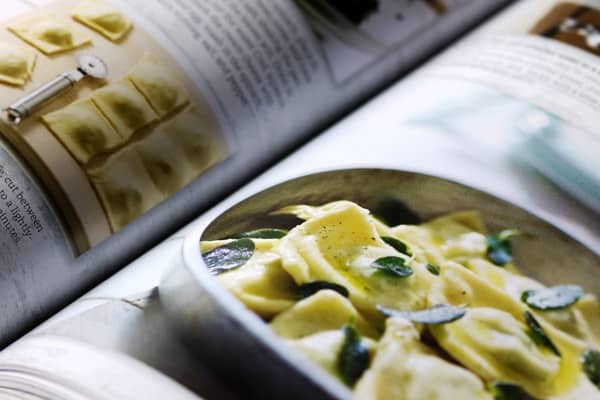 Now let me tell you more about Mediterranean Cookbook. I honestly hope that my humble words will do some justice to the glorious collection of recipes, photos and valuable information this book provides. Really, who am I to “review” such a great piece of work written by experts in Mediterranean cuisine and cookery such as Marie -Pierre Moine, Elizabeth Luad and Ghillie Basan! Between the three of them, they have lived and worked in several parts of the Mediterranean; from France, Italy and Spain, to parts of Africa and the Middle East. What these esteemed authors bring is more than talent, it is authenticity of recipes and flavors. 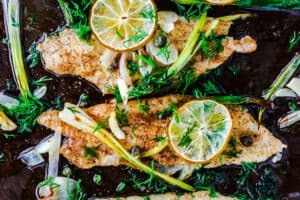 As a one-stop resource, Mediterranean Cookbook carefully curates all sorts of Mediterranean meals divided in sections from mezza to all-things-sweet. There is even a section on eggs! And since, as I told you here, my favorite meal of the day is brunch, I took note of the egg section. In fact, I was excited to see a recipe similar to my Shakshuka! And don’t get me started on the glorious fish and seafood section! 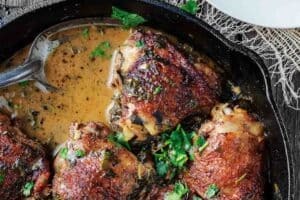 And meat and poultry, from simple stews to spiced chicken tajine and even a Sicilian quail dish! Lest anyone be intimidated, I want to remind you of the fact that I am one who can not usually follow a recipe. 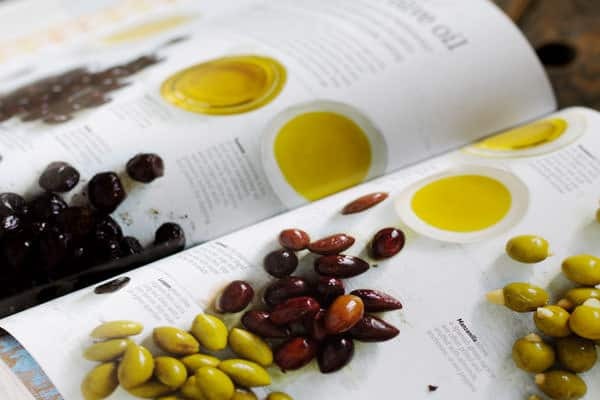 But, Mediterranean Cookbook provides precise instructions and enticing photography that have made following its recipes easy.
. And if you’re like me, and want to know a bit about key Mediterranean regions, you will also enjoy the spreads highlighting places like Greece, Sicily, and Lebanon. 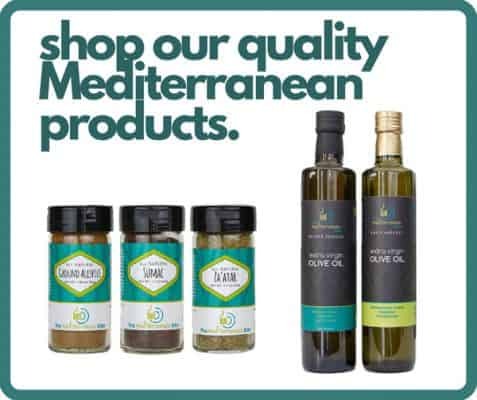 You will also get a bit of an education on things like essential spices, olives and olive oil. What is the difference between olive oil and extra virgin olive oil? Do you know? 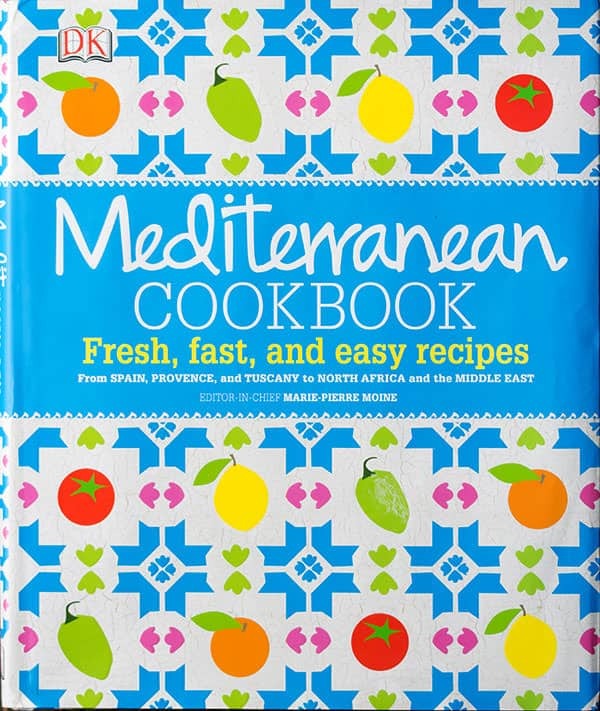 I consider Mediterranean Cookbook one of my prized resources. It is available at bookstores and retails at $35 USD; and you can find it on Amazon for a discounted price (I believe $26.99 or so). It makes for a great gift for a foodie friend, or even simply for YOU! Also, since I’m an affiliate of Amazon, I do get a teeny commission if you purchase the book by clicking on any of the links to Amazon on this page! Would love to stay in touch! 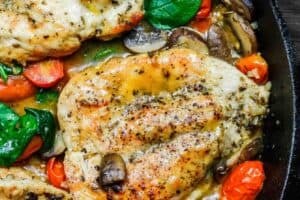 Please be sure to leave me your e-mail address so I can send you my recipes! Let’s connect on Pinterest and Facebook! Terry, welcome to The Mediterranean Dish! Glad you joined us! Great, Daniel! Glad you stopped in. This book looks wonderful !!! I’m sharing on both FB pages !! Awesome, Monica! Thanks a lot for sharing the love. Fantastic! I entered and shared on http://www.facebook.com/inthekitchenwithjenny !! Thank you for the chance to win this book. I have been slowing changing my diet and lifestyle over to the Mediterranean way. This book would be perfect! Great Penny! Good luck 🙂 Be sure to try and share by e-mail or other social media to increase your chances of winning!